The Criminal Investigation Department (CID) of the Police is investigating a number of telephone calls from phones belonging to the Presidential Secretariat, after the murder of former rugby player Wasim Thajudeen, the Court was informed today. Filing a further report before Colombo Additional Magistrate Mohamed Mihal, Senior State Counsel Dilan Ratnayake said former Narahenpita OIC Damian Perera had received three telephone calls from phones belonging to Presidential Secretariat, on the night of May 17, 2012. 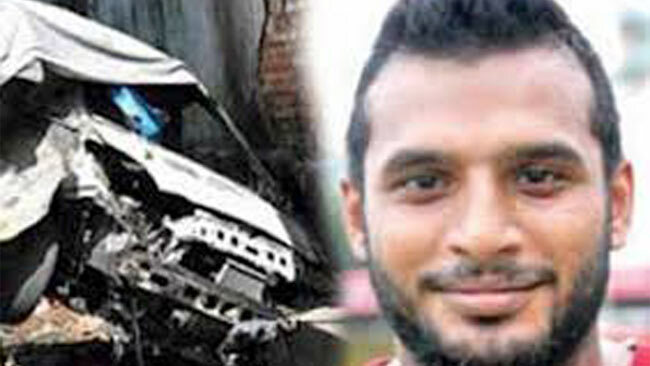 The popular Havelocks SC captain and national rugby player was killed in what was purported to be a car crash near the Shalika Grounds in Narahenpita, Colombo 5. Later investigation revealed enough evidence for Colombo Additional Magistrate Nishantha Peiris to rule on February 25 this year that the death 'appeared to be a murder'. The CID was asked to immediately arrest all suspects in the incident and produce them before Courts. When the case was taken up this morning, the CID also informed Court that Presidential Security Division (PSD) officers who served under former President Mahinda Rajapaksa were under investigation, for telephoning the former Narahenpita OIC. Two officers attached of the CID will also visit to British Colombia Institution of Technology in Canada on August 22, regarding the investigation of CCTV footage pertaining to the murder of former rugby player.